Biomass pyrolysis plant takes advantages of the biomass carbonization technology, using the high temperature to process sawdust, rice husk, straw, palm shell and other biomass waste into charcoal with rich carbon content. Apart from this, you can still get wood tar and vinegar. 1. The biochar pyrolysis temperature should reach a certain degree, so the whole biochar making process can begin. For our plant, the best temperature is around 400-600 degrees. To reach the standard temperature, you need pre-heat the reactor for about 30 minutes. 2. With the help of forklift and belt conveyor, you can convey 40-50 mm raw materials into carbonization furnace. 3. The combustible gas released during biochar pyrolysis process will enter the condensing analyzer after purification process. 4. In the condensing analyzer, wood tar and vinegar will be separated out of combustible gas, which will be led out to heat the carbonization plant. 5. After the water cooling process, you will get biochar. Multichannel water cooling process can ensure the temperature of charcoal is around 30 degrees, so biochar will not self-ignite. Generally speaking, the rate is 4:1, but the rate can reach up to 3:1 if the quality of raw material is good enough. 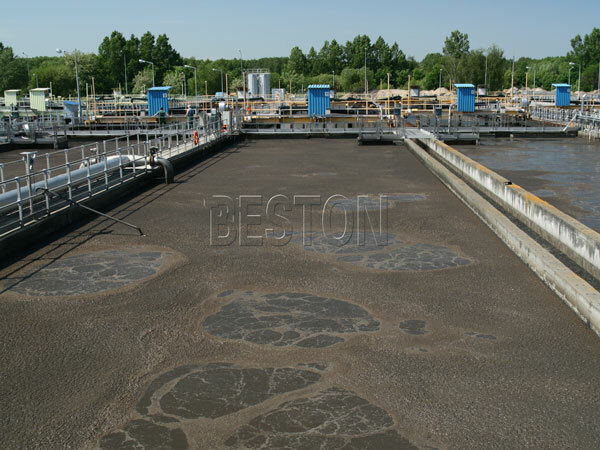 It is configured with the sealing system to ensure the environmental cleanliness and production safety. Moreover, desulfurization, smoke-remove, and cooling system also guarantee that it will not cause air pollution. Our biochar pyrolysis machine adopts double-layer design, which makes the lower part of the machine contact the hot air as much as possible. The protecting shell can prevent the body from contacting the high temperature directly. 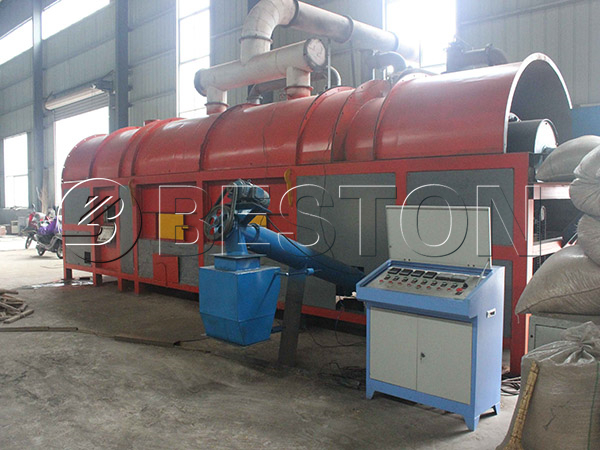 Moreover, Beston has a wide range of biochar production equipment for sale. The hourly capacity varies from 300 to 3000 kg. So welcome to contact us to get the most suitable charcoal making business plan. First, reasonable suggestion basing on your budget. We will give you the best advice basing your own situation. For example, if your budget is enough, we will recommend you central control system to separate the operator and machine. Moreover, we can equip the plant with crusher and dryer if you need to process raw material. Second, huge benefits the end products can bring you. Charcoal is main end products you can get. And it also has a wider application. 1. In the food industry, especially for BBQ, biomass charcoal is the best choice because it is free of odor, toxin and smoke. 2. If you want to improve the quality of soil, you can also use biomass charcoal. 3. Moreover, it is widely reprocessed into activated carbon. 4. You can use it to make shisha charcoal, which is very popular all over the world. Beston biomass pyrolysis plants are good in quality. When our customer from Kenya came to visit us, he was quite satisfied with our machine. We have our own factory, professional designing team and mature sales team. So there is no need to worry about the quality and the after sale service if you buy our plants. We can promise you that you will not regret once you make the decision. Just come to visit us if you want to get more information. We are waiting for your inquiry.